New in these pretty white sneakers by Sacha shoes. Since I'm working at Vanilla, my love for sneakers has grown again. We mostly wear sneakers under each outfit. White sneakers goes with every outfit. 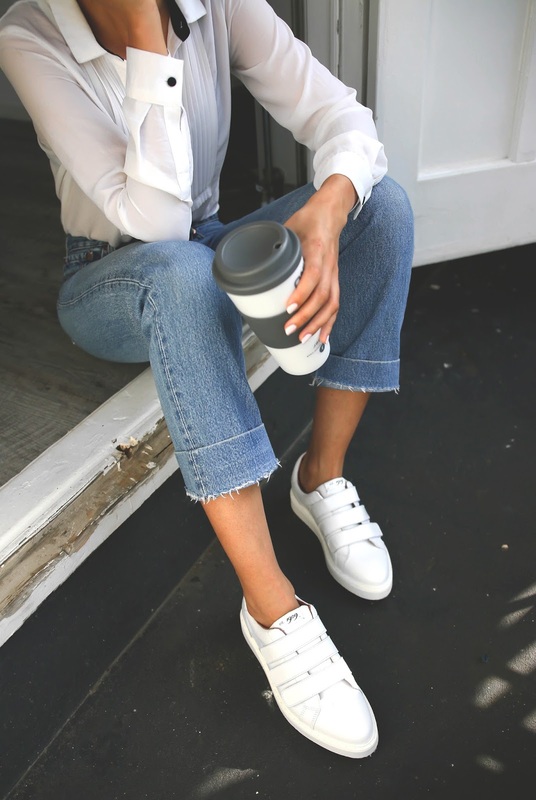 So in my opinion a pair of white sneakers is definitely a musthave! I already got a pair of white sneakers by Sacha, a more 'nike' look a like, but these are more minimalistic in my opinion. And the fitting is great! I'm mostly between 38/39 and 38 is fine. The sneaker is a bit pointy so that's probably why. Soon I'll show you these sneakers in an outfit post! Deze zijn heel gaaf, mooi die punt in de neus! Hou van witte schoenen, alleen jammer dat ze zo snel vies worden!